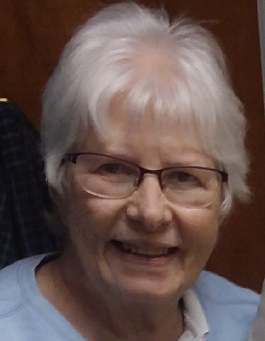 Delores Marlene Brown, 82, of Steubenville, OH, passed away November 22, 2018 at home surrounded by her family. She was born August 15, 1936 in Kittanning, PA, a daughter of the late Charles and Violet (Cornman) Black. In addition to her parents she is preceded in death by her daughter Erin Beth Brown. Marlene was a member of the Bell Chapel United Methodist Church where she was a member of the Bell Chapel Ladies Group. She is survived by her husband of 61 years Samuel E. Brown; children, Noreen Tressler, Lori (Kevin) Caris, Sam (Gena) Brown, and Becky (Steve) Miller; brother, Bruce (Kathy) Black; sister, Mary Ruth Serene; 9 grandchildren; and 12 great grandchildren. Friends will be received on Monday from 2-4 and 6-8 PM at the Everhart-Bove Funeral Home, 685 Canton Rd., Wintersville. Funeral services will be held at the Bell Chapel United Methodist Church on Tuesday at 11:00 AM with Pastor Jeff Proya officiating. Entombment will follow at Ft. Steuben Burial Estates, Wintersville.